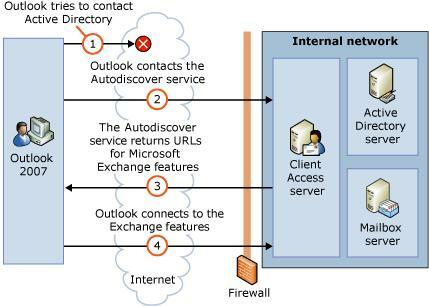 Starting from Outlook 2007, the client application uses Autodiscover web service to automatically configure the client access settings to Exchange server. For internal clients, the procedure is quite simple: start Outlook and click “Next” till you get access to your mailbox. The external clients have to specify the e-mail address, the password, and UPN if it differs from the e-mail address. 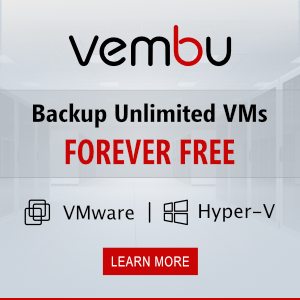 During the connection, the external client can face a problem that configuration might delayed for several minutes (up to 10 minutes). 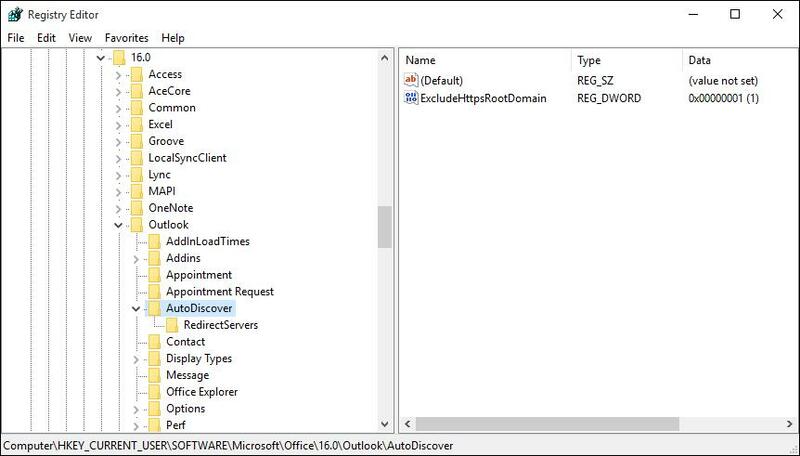 It is related to the fact that the client is searching the settings file (Autodiscover.xml) in some ways preconfigured in the Outlook and unchangeable. In real life everybody adds autodiscover.contoso.com record and believes that everything will be ok, but sometimes the expectations are not met. Nobody makes Autodiscover.xml available by the link containing the root of the domain, though this variant is a priority one. It is not clear why the client checks the dead variant first, but it is just the case. The problem with the long waiting time appears when the name contoso.com leads to some IP address, which either doesn’t respond on the port 443 or is unavailable. Outlook autodiscovering is standing and waiting for the response. Finally, it encounters operation timeout and goes to the next method. Timeout lasts for several minutes and doesn’t make the work convenient. The problem is eliminated if the name contoso.com leads to a web-site or any web-server with the available port 443. Then it will take Outlook several seconds to make sure that the first variant doesn’t work. If you have faced this issue, just create the record @ leading to the IP of your website in the external area of the root. 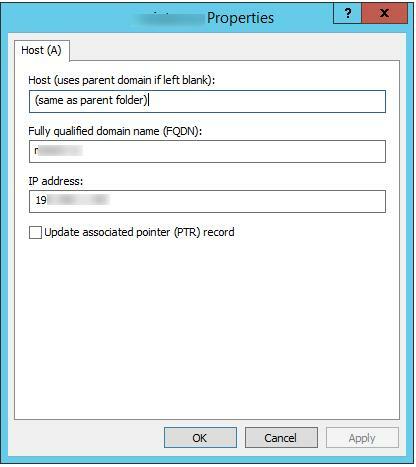 In case of DNS in Windows Server, create an empty record in the root. The situation doesn’t take place often, but make sure if there is a redirection. It is optional, especially if the mail domain is not connected with some website. In Outlook 2016 developers have decided to completely cut it out the ability to manually configure the connection to the Exchange. Now the Exchange mailbox configuration is possible only through auto-discovery. Active Sync protocols, POP and IMAP are still adjusted manually. For example, to disable the HTTPS request to the root domain, you need to create a key with the name ExcludeHttpsRootDomain and value 1. As a result, when you start Outlook, this check is not performed, and the first launch of the Outlook performed significantly faster. We were having this exact problem because our root domain is the same as our website. The issue had started recently though so I was pretty sure it was due to a change. Sure enough, we had enabled Windows firewall on our domain controllers and now the traffic on 443 gets discarded so AutoDiscover does not get any sort of response and gets stuck in a lengthy loop just like described in this article. Allowed 443 on the DCs and the issue was resolved!